how do you know if the coilover sleeves will fit? do the carrera sleeves fit on the fiero strut without any extra work? The Carrera tubes should fit over "normal" strut bodies without any trouble... I had to have mine enlarged slightly (thanks Darrell Morse) to accomodate my Koni Adjustables. 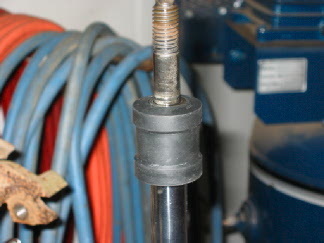 only thing you forgot is to replace the rubber snubber on the shaft. this protects the shock when it bottoms out. Well I think I've found the way to deal with this problem. 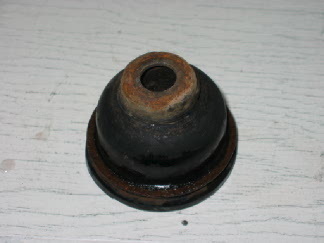 The factory snubber that sits on top of the dust boot from my strut was in bad shape, the center that holds the snubber and dust boot to the strut shaft had come loose, most likely due to the previous owners spring compressor lowering attempt, this piece is metal that was bonded to the rubber. 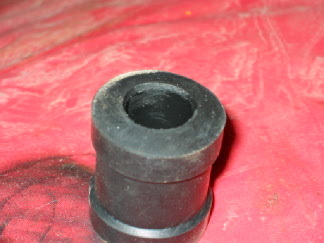 Just to check things out I removed the snubber from the dust boot and reinserted the center. 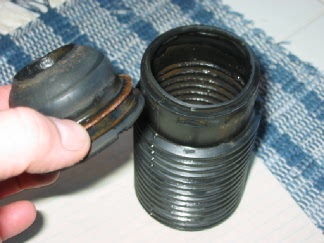 I held the snubber in the coil and found the fit was too close for what I was comfortable with so that piece was out. So, off to the parts store where I found a possible solution in the "Help" section. It's a shock absorber bushing, it's 1 1/2" long with a hole a little smaller than the strut shaft diameter, part number 31010, my cost was $3.65 + tax. 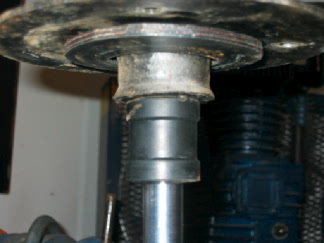 First thing I did was bevel one inside edge so it would make it easier to slide the bushing onto the strut shaft. 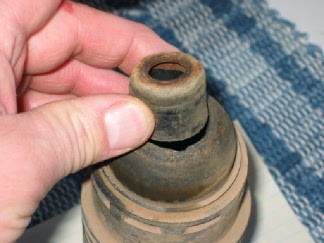 A little oil inside the bushing and on the shaft and it slid on with a little pressure. I decided to leave off the washer I had put on before, the next pic shows a view of the spring retainer plate and bushing without the spring in the way. This last pic is an underside view of the re-assembled coilover strut, I think the bushing will work well to dampen the shock when/if the car bottoms out. I'm very happy with this set-up, additional cost for two bushings, about $7.50, cool. How do you pick the spring rate. I have a 3.4 DOHC engine on a 88 suspension. I want it to be about 2" lower when done, and i want no body roll, or bounce. I dont drive it daily, so im not worried about a tough, ride. 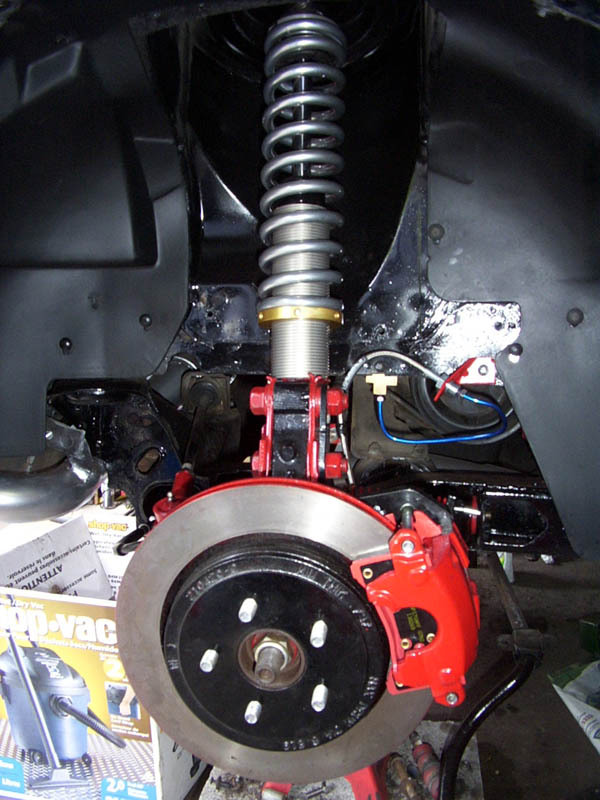 I'm not sure what the spring length would affect, maybe the amount of bottoming out on rough roads due to the shorter spring and shorter travel of the strut shaft? 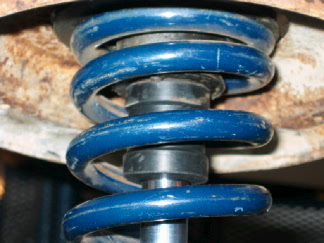 They way I understand it is, the higher the spring rate the stiffer the suspension and rougher the ride. I have to check the spring rate for my springs as I want them to be about the same as stock. Seems to me body roll is controled more by sway bars than spring rate but I'm sure that a stiffer spring would effect body roll a little also. Anyone else have a thought on this? Excellent find on the shock bushing! This was the last piece of the puzzle I was looking for. If I may though, you might reconsider the washer. It just looks to me, that it would prevent the strut rod from pushing through the upper plate, shoud the rubber in the plate fail. Looks like it allows the bushing to do it's thing for about 3/16" of travel, then stops it, if needed. 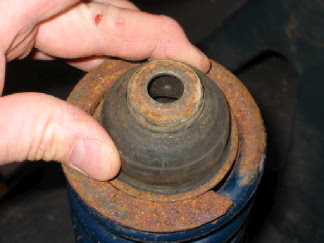 I'm just afraid without it, the force of some bumps in the road, may start to push the rod right up through the rubber bushing in the plate, and into the decklid. Especially with a stiff, gas filled strut. Then again, I might just be worring about it too much!! or rear coilovers insalled on new struts know where to find them. Spring length will effect ride height. if you run a short spring at a close to stock rate, you will bounce off the bump stops more often. If you up the spring rate, the ride will get rougher. The cool thing about having a setup like this that you can get a couple sets of springs fairly cheap and pick what works best for you or even change depending on the season. 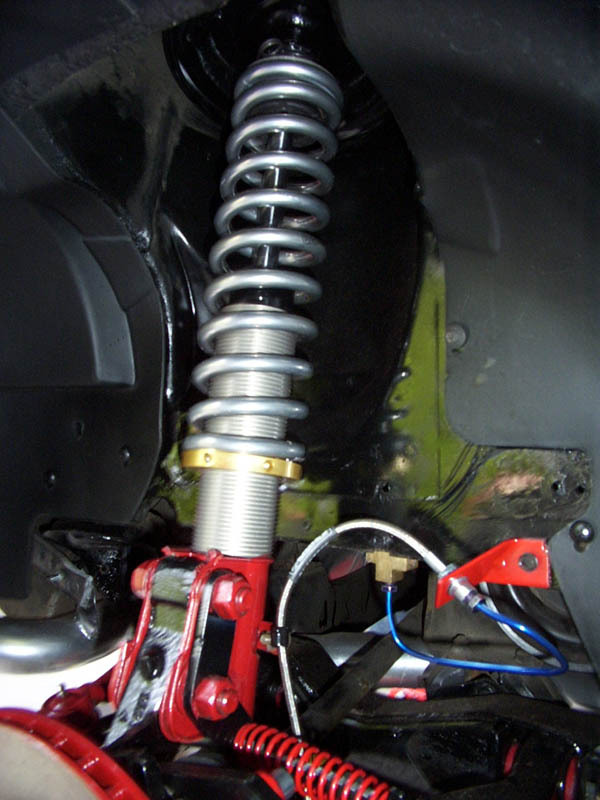 On a fiero, roll is controlled by springs as well as a rear roll-bar if equiped. In general, roll-bars are more effective. Tune to Win and Competition Car Suspension are good places to start reading if you want to know more. 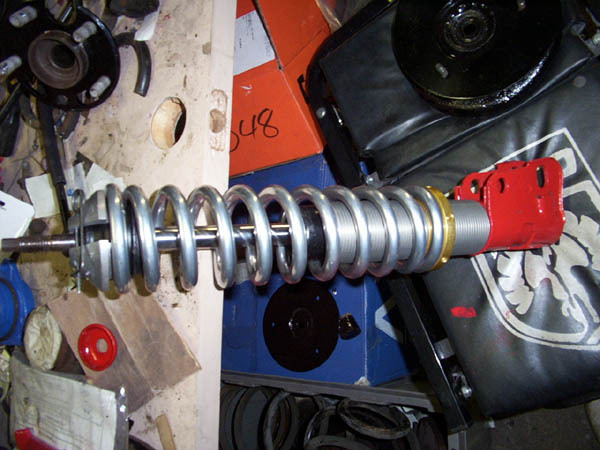 I'm not sure what the spring length would affect, maybe the amount of bottming out on rough roads due to the shorter spring and shorter travel of the strut shaft? Dave, I'll agree, that for someone who knows not what they are doing, your kit would be an excellent way to go. But this thread was started I believe, to help some that can do it themselves, and save some money in the process. I've only got a little under $150.00 in my set up, plus the struts, so for me $264.00 is not just "a few dollars more". But yes, if someone is not sure what they are doing, please buy a kit from dave, or somewhere, that knows what they are doing, and save yourself, and maybe one of us, from a potential wreck/disaster!! you might reconsider the washer. It just looks to me, that it would prevent the strut rod from pushing through the upper plate, should the rubber in the plate fail. Looks like it allows the bushing to do it's thing for about 3/16" of travel, then stops it, if needed. 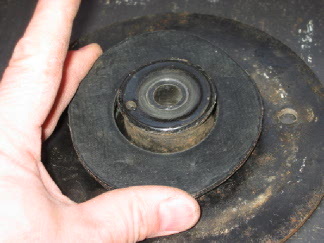 I'm just afraid without it, the force of some bumps in the road, may start to push the rod right up through the rubber bushing in the plate, and into the decklid. Especially with a stiff, gas filled strut. Well today I got the second bushing for the last strut, (They only stocked one in the "HELP" section so I had to order the second one), and as I was installing it I looked over the setup and decided to put the washer back in on top of the bushing because of what Kevin said in his post, thanks Kevin for the input, I looked eveything over he talked about and it made sense, which meant I had to disassemble the other one to put the washer back in there, oh well. Can't wait to get them in the project car..................someday. Hey, we are all in this together, we can all learn as we go. As you can probably tell by my user name, I am in the process, (very, very early stages) of building my dream car, a Lamborghini Countach 5000S. Since it is Fiero based, I am learning a lot about the car, from reading all the good info on this forum. If I see I can help someone, with something I have learned in my adventures, I'll try to do what I can. I've got the Held 88' cradle adaptor kit (which uses coilovers of course) in my 87 - I went with 400lb springs in the back (and I have the factory rear sway bar as well). It's hard! No denying that. But it's also VERY nice in the handling division. I still want to hear how this is on the road, I would like to hear a road test, please! Sorry Bobby, it's winter, I was bored, so I just did the thread. The coilovers are for the project car which I hope to have on wheels by this fall if all goes well so no road test from me for awhile, anyone else? Anybody else do these build? Sorry I didn't say it before, thanks for the thread and good good. Just sorry it took so long to say. I was just rereading this years later. How about you get around to refunding my $2000 dollars for my defective spindles and big brake kit. After ripping me off for big bucks, you think I won't point it out every time you show yourselves? Until I get a refund on the crap you sold me, you can guarantee I will be around to tell people about it. Between this forum and the Grand Prix crowd, I guarantee that I will cost you more than $2000 in bad press. I strongly suggest to everyone to steer clear from Held Motorsports. If you aren't familiar with coilovers, then get familiar or find someone local who already is. Don't depend on untrustworthy companies who will rip you off when the products prove to be defective and dangerous. DIY. Just looking for a road test update? Check out the ones I've put together...using sensi-trax', qs1's and coleman sleaves. AWWW MAN!!! 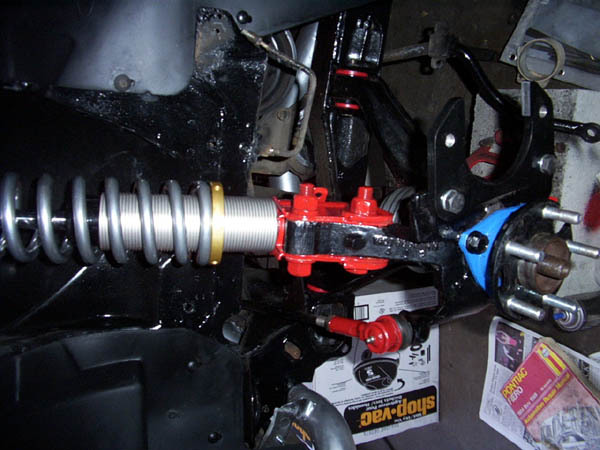 i just finished putting new shocks and struts in my car! (monroe sens-a-track's, i highly reccomend them) I wish i would of read this earlier.......then i would of done the coilover mod.......Mann!! this sux, ohhh well i can still do it...... BTW tremendous job Fierohoho!!!!!! you get madddd props from me!!! David what adjusters did you use from coleman (part number)? 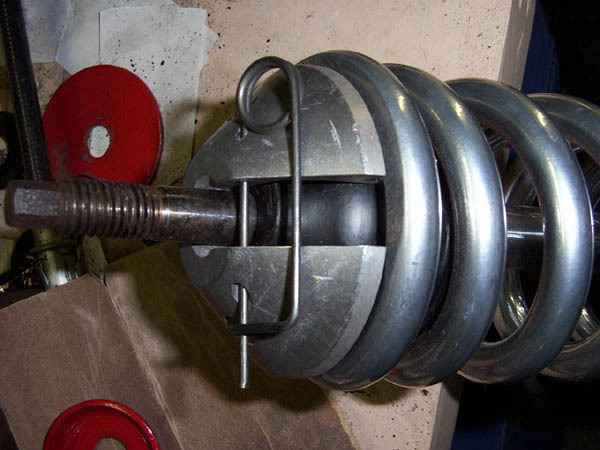 And also whats the length of the spring you are using and the spring rate? Your coilover set up looks really good. Looks sweet! How is it on the road? Should be out on the road this week.. I'll post an update then. How tight a fit are the sleeves on the strut body? Would this also fit the Koni struts as I believe they are somewhat larger in diameter. I had a couple thou. clearence. Not enough to get a large oring in, but enough to get 3-5 full wraps of electrical tape around the strut body. Sensi Tracks OD are 1.95 and the ID of the sleave is like 2.05. I had Darrel Morse fit my coilovers to my Konis... both the konis had to be carefully "trimmed down" in a few areas, as well as the threaded adjuster had to be lightly bored out in a couple of spots. It all worked out well in the end though! MinnGreenGT, that was the best way you have found? So What Cars should we be looking for Beside Honda Civic's and which Model Acura? 4.9 Caddy in Garage! Car in Driveway! ACK! I'm curious if the rubber bushing is needed between the strut shaft and where the strut mounts to the body? Could the strut shaft be solid mounted? I wonder how that would work? 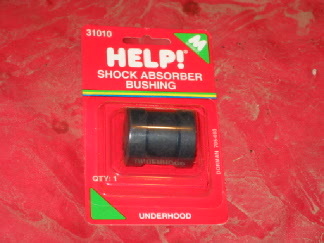 This shows the bushing I am talking about. 12" 350 springs seem a little stiff for my liking. I think 300's would be perfect for a 2.8. I attempted to bounce the car by pressing on the shock towers and I couldn't get it too anything. STIFF!. But it handles so well, like a go-cart so I might keep them around and try them with the new engine I plan on getting next year. I am also running low profile tires for the first time so that might influence my first impression. I ran into a problem with the heavy 350 springs not compressing under the weight of the vehicle. I had to move the coil over collar on the sleeve all the way down to the bottom of the strut to achieve the ground clearance I wanted. For reference: In the pictures above, the collar is about 2.5" off the bottom of the strut. I'm counting on the springs settling a little, so the collar will move up respectively. bump to top so I can bookmark this sucker. Is anybody using a 10" with 300lbs. springs with your coil over's? I know that a stock spring is 12" but I am looking to lower the car. Yes, that is what Im running, and its too soon to give thoughts as I just finished w/ the motor swap, so Im still working on it. Seems to be AOK...will post more as I get more drive time on 'em.